The state of Florida has some of the toughest drunk driving laws in the entire country. If you are arrested for a DUI in South Florida, you could face serious penalties. Among other things, you may lose your driving privileges. In fact, though many people do not know it, after a DUI arrest your Florida driver’s license faces an automatic suspension. To prevent an automatic suspension, you need to take immediate action. In this article, our top-rated Miami drunk driving defense attorneys address how an automatic DUI license suspension works in Florida. Then, we explain exactly what you need to do to protect your license from an immediate administrative suspension. In Florida, a drunk driving arrest will lead to an automatic administrative suspension of your driver’s license. To be clear, this means that your license will face suspension before you ever actually get a hearing on your case. 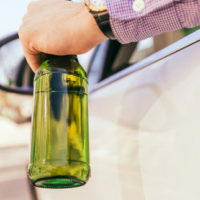 This means that Florida drivers who have been arrested for intoxicated driving lose could lose their license before they ever get the change to plead their side of the case. There is good news: while your driver’s license is subject to an automatic suspension, there are specific steps that you can take that will protect your right to drive. Under Florida state law (Section 322.2615), all drivers who face an automatic administrative suspension of their license have a right to review. To exercise this right, you must request a review within ten days of your DUI arrest. If you fail to take action within ten days, then the automatic administrative suspension will go into place. When you file for a review, the suspension of your license will be set aside until you can get an initial hearing on your case. Typically, this hearing will take place within 30 days of your intoxicated driving arrest. If you were arrested for drunk driving, it is imperative that you consult with an aggressive Miami DUI defense attorney without delay. Your attorney will be able to conduct an in-depth review of your case, putting together a comprehensive defense strategy that will best protect your rights. This could include helping you get access to a hardship license. In Florida, a hardship license enables people to drive for the purposes of important tasks, including getting to and from work, picking up children from school, and carrying out other basic necessities of life. At Ratzan & Faccidomo, LLC, our Miami defense lawyers have considerable experience handling DUI cases. If you or a family member was arrested and charged with drunk driving, please contact our law firm today for a confidential case evaluation. We will fight hard to protect your rights. From our office in Miami, we handle DUI cases throughout the region, including in Key Biscayne, Miami Beach, Hialeah, and Homestead.